This is a neighborhood mailbox padlock from the post-World War II period. Its case and shackle are made of brass, opened by key, and uses a five-lever lock. 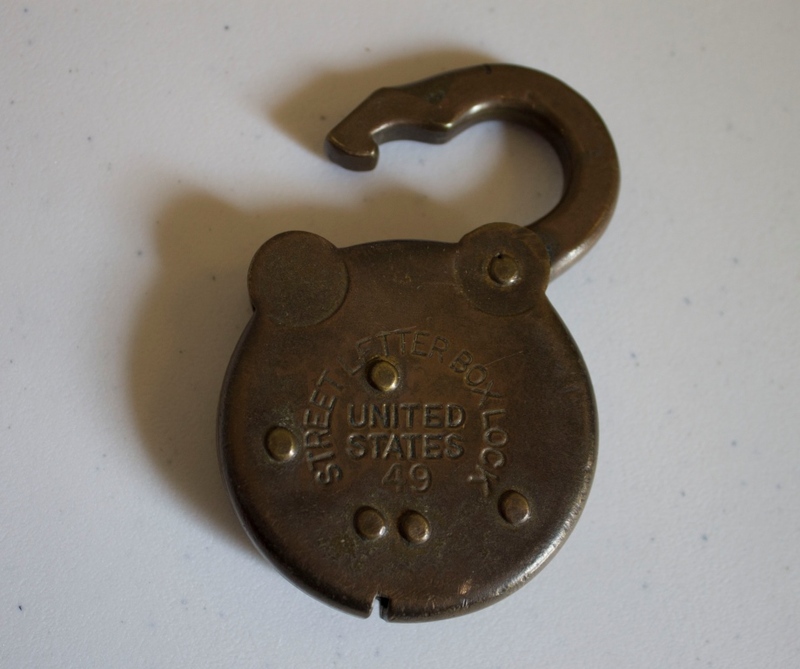 It was a type of lock distributed by the U.S. Post Office Department to residents of Orlando for street letter boxes. The lock was assigned to letter box code number 49. By the 1950s, the following codes were withdrawn from service: 24, 37-43, 45-47, and 52-54. "Postal Antiques." Collectors Weekly. http://www.collectorsweekly.com/office/postal/stories. "Postal Padlocks - United States": Street Letter Box - Numbered." Antique Padlocks. 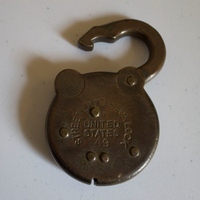 http://www.antique-padlocks.com/postal_us_slbl_numbered.htm. “Mailbox Lock.” RICHES of Central Florida accessed April 21, 2019, https://richesmi.cah.ucf.edu/omeka/items/show/5575.